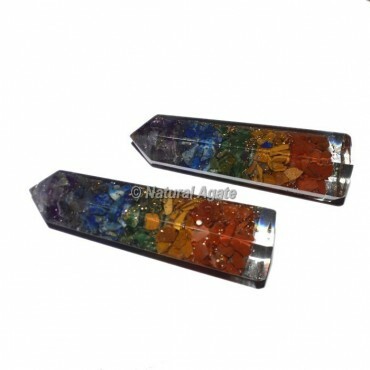 Here is the huge collection of Seven chakra Layer Orgone Obelisk Point in wide range. Seven chakra Layer Orgone Obelisk Point has different layers of gemstone depicting chakras exhibit in the body. This attarctive obselik point is available in affordable price. Place the order today.